Heading into the offseason the Golden Knights had the plan of being aggressive. They wanted to use their cap space to improve the team in any way possible. That started by going out on July 1st and signing one of the biggest names available on the market, Paul Stastny. The Golden Knights also brought back Ryan Reaves and added defenseman Nick Holden. They entered the offseason with somewhere in the neighborhood of $30 million of cap space available, they now sit with just under $19. Plenty to make one more highly aggressive move. Reading between the lines, the name Erik Karlsson is in there somewhere, but until that deal gets done, the offseason still feels incomplete. McPhee’s words sure sound like he’s in the market for something else, but his actions speak even louder than his words. The Golden Knights stand with 43 active player contracts and according to CapFriendly.com, $18,750,000 in projected cap space left. If Erik Karlsson ($6.5M AAV) and Bobby Ryan ($7.25M AAV) are added for nothing but picks, that would eat up a total of $13.75 million in cap space, leaving the Golden Knights with $5 million to hand out. That’s $5 million to distribute among William Karlsson, Tomas Nosek, William Carrier, Shea Theodore, and Colin Miller. Quite simply, it’s not enough. Fan reaction to trade rumors can range widely, but there always seems to be one constant. The minute someone mentions the name Bobby Ryan the conversation turns sour. Hell no bobby Ryan contract is up 2022 and we will be paying him 7.5 mil every year. If taking him has to be part of the deal you are screwing the team hard not even talking about the prospects and picks Ottawa wants. Let’s go back in time. The New Jersey native was drafted #2nd overall in the 2005 NHL Draft. Also known as, the Sidney Crosby draft. Ryan lived up to his potential right away. In his rookie season, the right-handed forward scored 31 goals and was a Calder Trophy finalist. By the time his entry-level contract ran out, Ryan had 131 career points (71 goals, 60 Assists) and 26 Power-Play goals. Altogether, in five full seasons with Anaheim, Ryan scored 30 or more goals four times. The Ducks liked Ryan enough after his third season in the NHL to sign him to a five year, $25.5 million contract, his first massive deal. After the shortened 2012-13 season, Anaheim moved the then 25-year-old forward to Ottawa for Jakob Silfverberg, Stefan Noesen and a 2014 1st Round pick. At the time, it looked like Ottawa pulled off one heck of a trade. One they liked so much that they offered Ryan $50.75 million over the next seven years. Fast forward five years later, the once four-time 30 goal-scorer is no longer the hot commodity he was in his first nine seasons in the league. 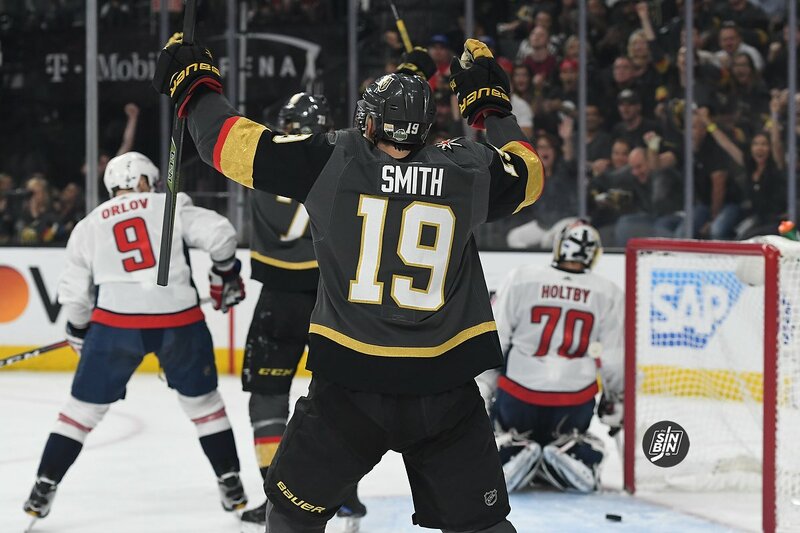 The past two seasons he’s missed 20 games each year, scored just 13 and 11 goals, saw his ice time dip about two minutes per game and didn’t reach 35 points in either year, something he had done in each of the previous eight seasons. Quite simply, the production Ryan has offered has not been worth anything near $7.25 million per year. Trades involving generational players in their primes are rare in the NHL. Over the course of the last 30 years, it’s happened about five times. Yet, with the Draft getting underway tomorrow and free agency on July 1st, Erik Karlsson’s name could be added to that list any moment. When it comes to a unique talent like Karlsson, every GM in the league will show interest. However, most know they either don’t have the assets or the cap space to acquire the 28-year-old superstar defenseman. Ottawa shipped out Mike Hoffman which solved one problem but they took on salary in the deal, further indicating another deal may be on the horizon. At this point, unless Karlsson is demanding a trade they don’t have to move him. Unfortunately for the Senators, he probably is. Ottawa’s front office may continue to force Bobby Ryan’s hefty contract ($7.25M/4 yrs), forcing some teams to stay away. In the Senators eyes, if the deal isn’t right that’s not their problem. 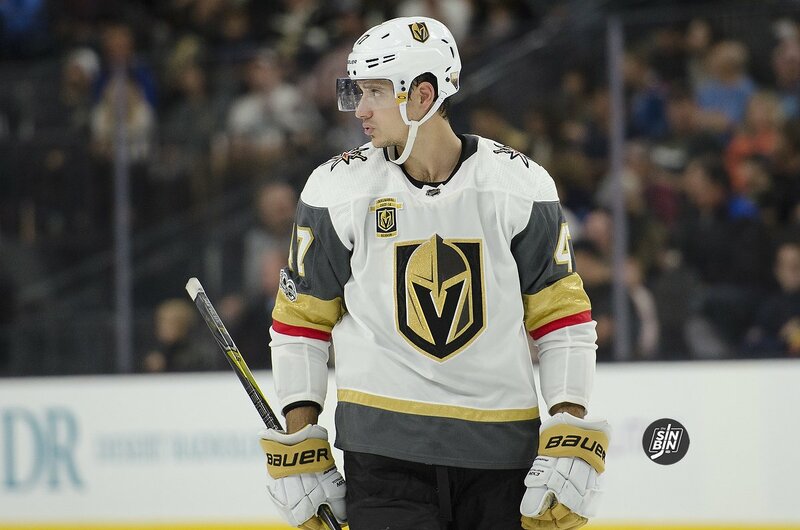 This may be an unpopular look at the Karlsson to Vegas trade rumors because I know how apprehensive Golden Knights fans are about saying goodbye to their favorite players. Hey, I hear ya. 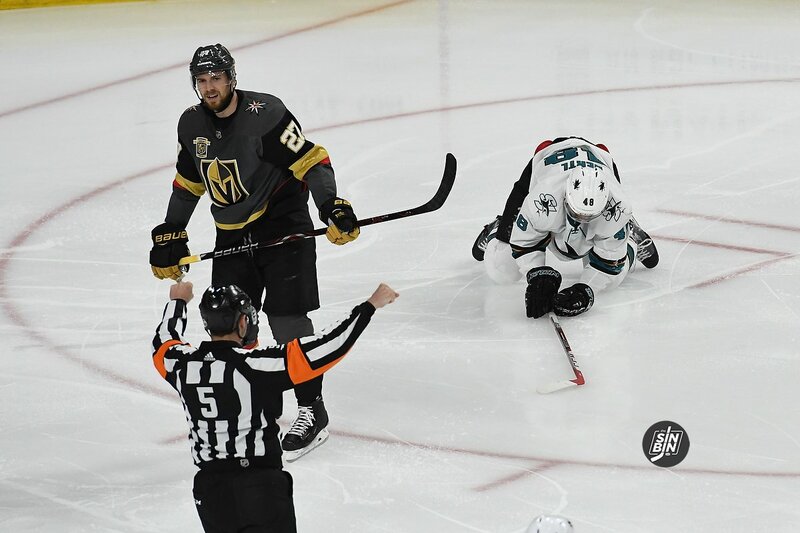 After all, I am the founding member of the Shea Theodore fan club, but it is a business, and if the Golden Knights make a move for Karlsson, their probably on to something. History tells us teams that make the trade for a star player will usually see major dividends, while the players shipped out tend to have mediocre careers. I won’t waste your time going over Gretzky’s statistics or influence after he was traded to LA. The Oilers were really only in it for the cash. They knew they would lose the trade no matter what, so the closest thing of value was millions of dollars. That being said, they did get two players in the deal. Erik Karlsson needs out of Ottawa, this is clear. No matter what comes out of this really sad situation, the damage is done. Karlsson can’t trust the Senators front office after covering up harassment allegations. It’s time for the Swede, his wife, and the Senators to move on. Possibly, starting with one of the teams that wanted the Superstar defenseman at the deadline. There were nothing but smiles in the visiting locker room last night at T-Mobile Arena. The Ottawa Senators battled for 60 minutes to beat the Golden Knights 5-4. The victory pushed the Senators to 22 wins and 52 points with just 19 games to play. That is, in a single word, bad. Which is probably why the Sens front office listened to any and all offers at the trade deadline. Including one from Vegas GM George McPhee, who inquired about their Norris winning defenseman. Karlsson was responding to a question I asked about his reaction when he heard about the Vegas chatter. The superstar Swede went on to discuss why free agents would seriously consider playing in Las Vegas. Also rumored to be part of the Karlsson swap was Ottawa forward Bobby Ryan. Senators GM Pierre Dorion was attempting to unload Ryan’s $7.5M per season contract to whomever desired Karlsson. Possibly the reason why a deal with the Golden Knights fell through. I asked Ryan about his trade deadline anxiety.